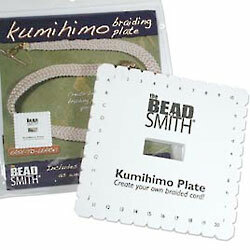 Kumihimo is a Japanese braiding technique that has become very popular worldwide especially with the addition of beads. 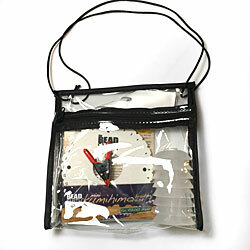 Bonded nylon cord is recommended when working with beads for durability and abrasion resistance. For braiding with beads, EZ Bobs are a necessity, small ones for small beads, medium ones for larger beads and so on... All the beads do not need to be loaded on the cord all at once, just load what fits in the EZ Bobs and add more beads when you run out. 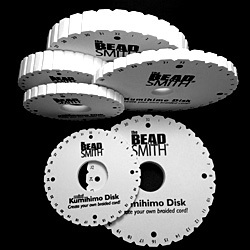 Having several disks on hand is nice for working on several braids at the same time, plus it is best to reserve a disk for thinner diameter cords as the slots will relax a bit when working with larger diameter cord. 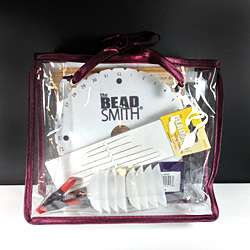 The best way to learn to braid is to start with a kumihimo kit with a full set of directions with step by step photos and a tool bag with a disk and EZ Bobs. Once you have a few projects completed you can start you own project easily. 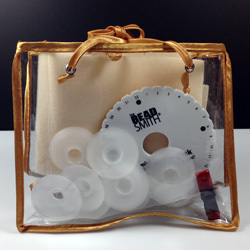 Once you go on your own and experiment, C-Lon Bead Cord in any of the four sizes is recommended if you are using beads. 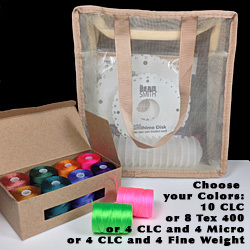 Here is quick guide as to sizes: Micro for 15s and 11s, Fine Weight for 11s, 8s and PIPs, C-Lon Bead Cord (Tex 210) for 8s, 6s, MAs and LMAs, Tex 400 for 6s, MAs and LMAs. For fiber only braids, thin cords can be combined in strands. The C-Lon Micro or the metallic cords work well for this. Silk, of course, such as Madeira Silk Floss, Kanagawa or Fujix Tire Embroidery Silks are great options, but silk requires a bit more care when worn. 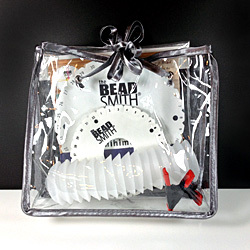 Ribbon is another option. Personal Note - I first encountered the name 'kumihimo' in 1978 at a show when a textile specialist exclaimed in front of my exhibit that I was doing kumihimo. I had learned my braiding techniques from an old sailor's book on knots. I got a marudai but gave it up. 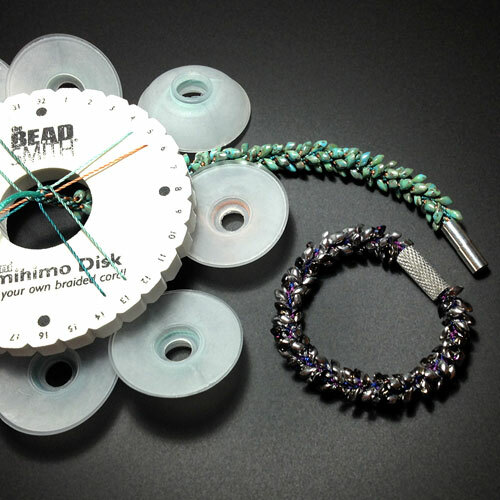 I prefer braiding by hand or with the disks. 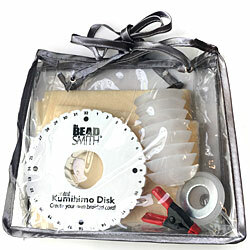 The disks and plates are great because they are portable. They can be taken on road trips, to the beach or done on a couch watching TV. As to sizes, try both sizes. 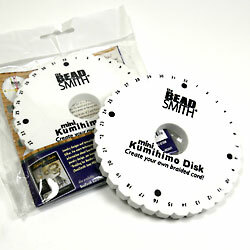 The smaller disk was originally designed for kids, but they are very nice for everyone, not just smaller hands. The slots are closer to one another, so the hand does not haver to travel as far. 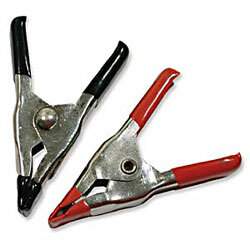 However the EZ-Bob get a bit more entangled as they are closer to one another. 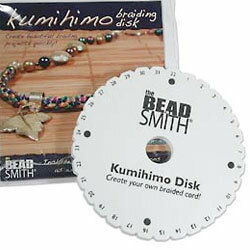 The larger disk is recommended for any patterns with more than 8 strands. In addition, if you use a pattern where you need to read the numbers, they are easier to read on the bigger disk. 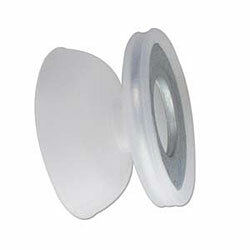 As to thickness, if the thinner disk does not hold your tension tight enough, try the thicker ones. 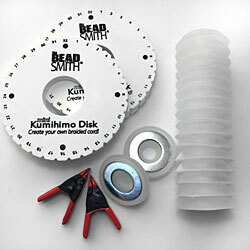 Keep newer disks for thinner cords and use older ones for thicker cord. Imported. 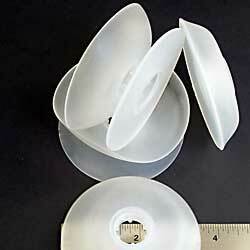 Good plastic construction. 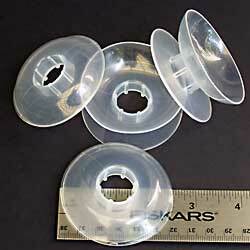 Heavier plastic gauge than the standard Small EZ Bobs. Weight can be removed if desired. 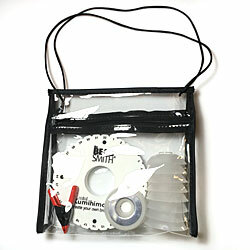 Some braiders like the weight to keep the bobbins tangle free. I personally find 8 weighted bobbins a bit too heavy. 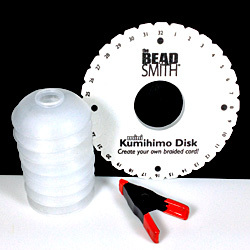 I use a single weighted bobbins as weight at the end of the braid when braiding with beads. 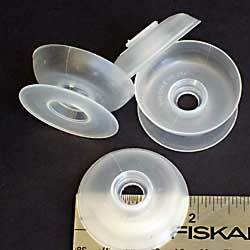 I have yet to try them with the weight removed. 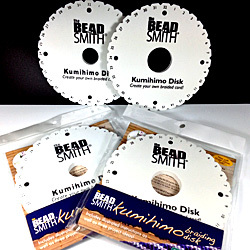 Same content as Kumihimo Bag, + your choice of 10 C-Lon Bead Cord, or 4 C-Lon Bead Cord and 4 C-Lon Micro or Fine Weight Cord, or 8 C-Lon Tex 400 Bead Cord. 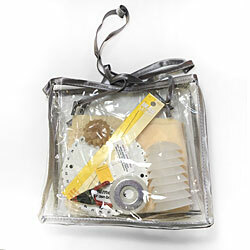 The bag has burlap sides, transparent mesh in front and back and a zipper at the top and discount on cord! 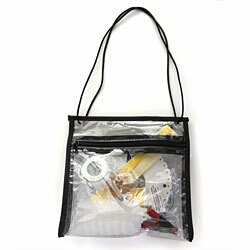 Get a bag of 100 for your class.